Use Google Analytics to track clickthroughs to your company's website from Clutch. Here's how to add Google Analytics to your profile. 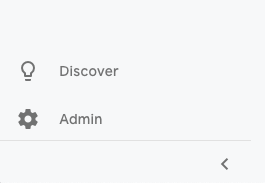 Step 4: Name the new property, "Clutch"
Step 5: Enter your Clutch profile URL into the "Website URL" field, "https://clutch.co/profile/company-x"
Step 8: On the third page of your Clutch profile, you'll see a tab for Google Analytics. Paste the Tracking ID (UA-XXXXXX-X) in the Google Analytics ID field.